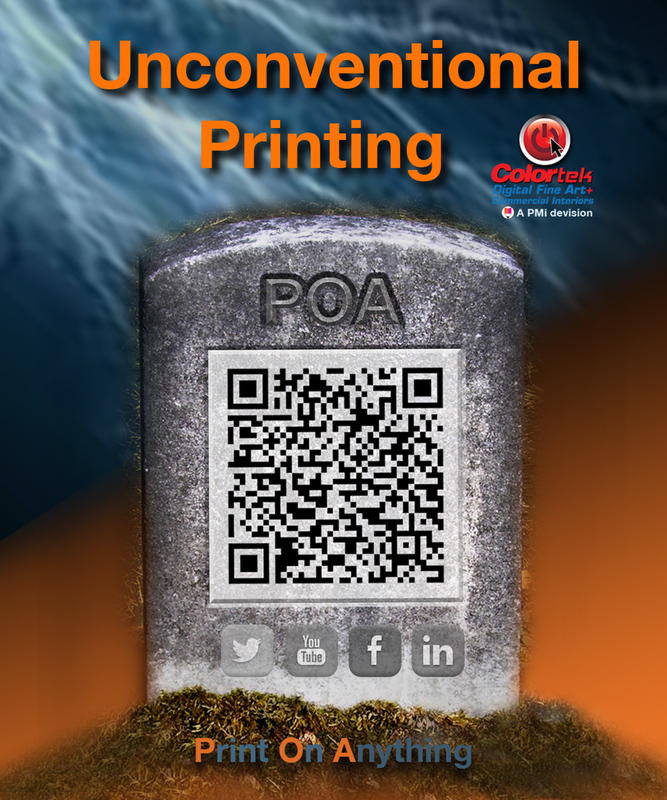 Don’t let unconventional printing be a scary thought. Our UV-curable printer is ideal for creating outdoor point-of-purchase signage, second surface backlit displays, exhibit displays, architectural and directional signage, event signage and more. We can print or rigid surfaces with high image resolution. This system produces prints that are ready to handle immediately after printing. The printer is also great for printing regular or unusual items like pre-stretched canvas, doors, ceiling tiles and even tombstones? Some applications: Doors, wood, glass, tiles, carpet, stone, cardboard, metals, foils for packaging, fabrics, static-cling window decoration, backlit displays, etc.